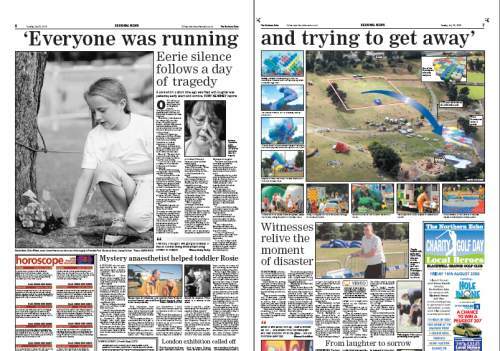 This was a double-page spread in The Northern Echo in the wake of the Dreamspace disaster that left two women dead and many injured. 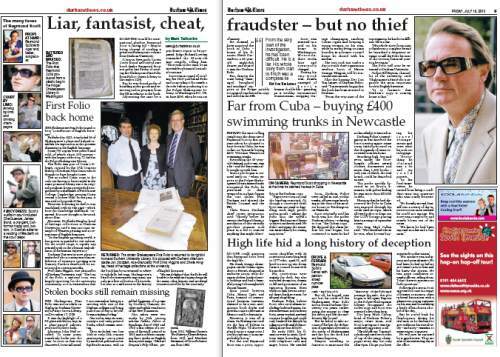 A double-page spread for the Durham Times covering the inimitable Raymond Scott - cleared of stealing a priceless First Folio of Shakespeare's works from Durham University, but guilty of handling stolen goods and who left a trail of startling lies in his wake. 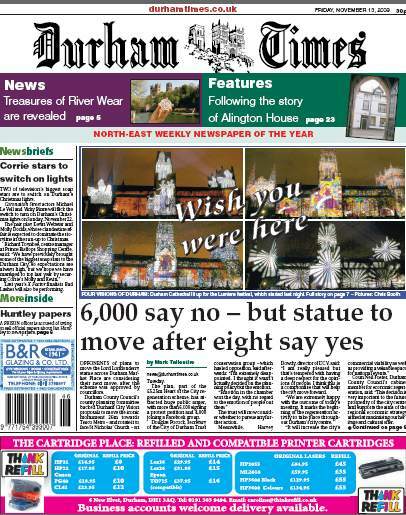 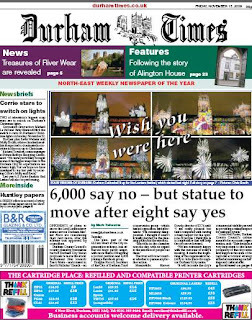 Durham City was lit up in startling fashion during the Illuminate festival - prompting this front page with a postcard from Durham adorning the top of the page. 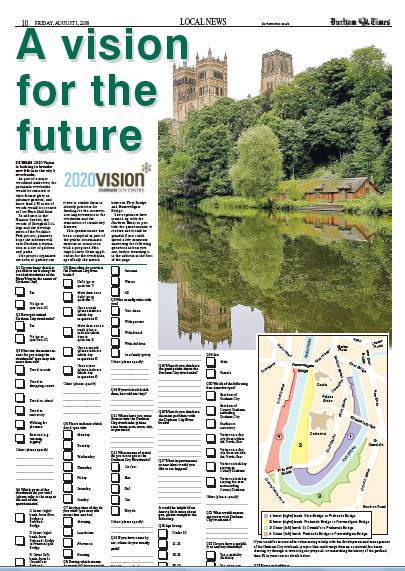 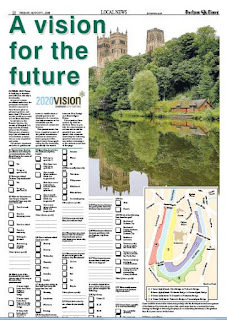 Information gathering in the newspaper - after we were approached by 2020 Vision to help conduct a survey, we presented this questionnaire in paper, which I designed to be both eye catching and to help generate clear responses. 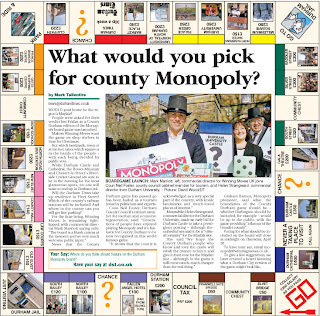 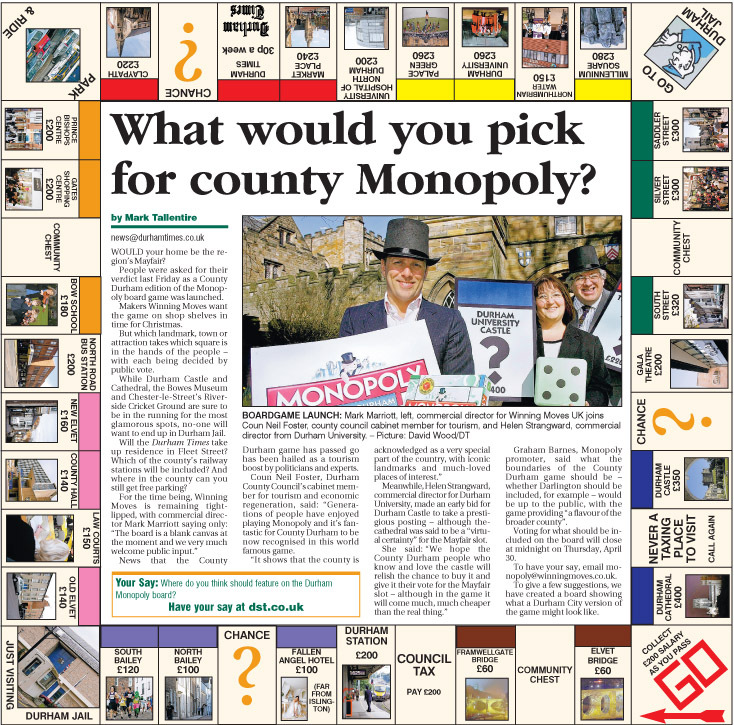 A bit of fun with this one - when a Durham edition of Monopoly was announced, how could I resist creating a Monopoly board to frame the story, with each square on the board marked with a local landmark. 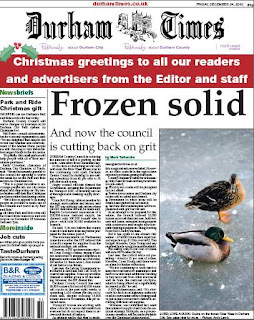 Local issues combined with a seasonal look for a Christmas issue. 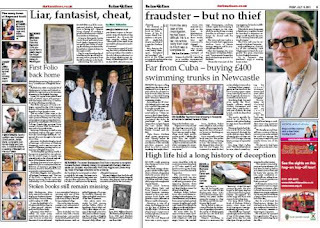 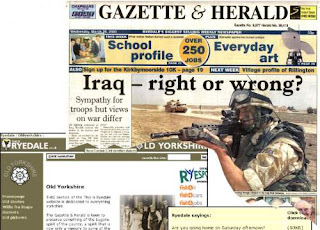 Examples from earlier in my career of the Gazette & Herald newspaper, where I was deputy editor and chief sub-editor, and the website for the G&H that I ran.